How oblivious we are to the hypocrisy of the Lebanese Shi’ite Muslims, who in 1982, welcomed Israel into Lebanon to rescue them. To rescue them from the P.L.O., whose Palestinian supporters their Hezbollah is now allied with. To rescue them from these people who then allowed their fellow co-religionists in Iran to found a terrorist group in their country, Hezbollah, to attack their rescuers. Rapes, torture, murders. In 1982, that’s what Shi’ite Muslims (and Christians) in Lebanon suffered daily and en masse at the hands of the Palestinians who controlled the country from West Beirut to Lebanon’s southern border. Their rescuers were the “evil Zionists” whose elimination they and their Hezbollah now seek. South Lebanon was known as Fatah-land. The P.L.O. dominated–allied with a brutal leftist Lebanese militia, the Morabeitoun, headed by Ibrahim Kleilat. 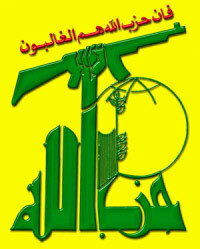 In Lebanon, Today’s Hezbollah Replaced Yesterday’s P.L.O. Hezbollah was founded by Shi’ite Muslims in Iran and injected into their country ostensibly to “get Israel out of Lebanon.” But in 1982, Lebanon’s Shia–who now wholeheartedly support Hezbollah–were desperate for rescue from their murderous Palestinian captors. When Israel did invade Lebanon (to stop the P.L.O. and its attacks from Lebanon onto Israel), the now-reviled Israeli Defense Forces were welcomed by Shi’ites with open arms–as liberators. Yesterday–mass rapes, torture, and murder of thousands of Shi’ites at the hands of P.L.O. soldiers who took over their country. Today–through Hezbollah and HAMAS–they are partners. But in the ’80s, it was a different story. In a front page story on July 25, 1982, “Lebanese Tell of Anguish of Living Under the P.L.O.,” The New York Times detailed how Arafat and company nearly established a Palestinian State . . . in Lebanon. The article is by David K. Shipler, no friend of Israel. The hypocrisy of Lebanon’s Shi’ites is thickly evident when reading that account now. Those who lived within its [the region of Lebanon controlled by the P.L.O.] rough boundaries said they were too terrified then to describe it to outsiders. Now . . . they are telling of theft, intimidation and violence. . . . The major tool of persuasion was the gun, according to those who lived through it. . . . [They] said they felt powerless in their own homes. * Ali Bader El-Din was imam of Harouf, a Shi’ite village near Nabatiye. When he returned to town after 12 years of religious study in Shi’ite institutes in Iraq, he refused Palestinian demands to “inject Palestinian themes in to his sermons in the mosque.” As a result, in 1980, during Ramadan fasting, he was murdered by the P.L.O. After days of searching, his family found his body, shot through the head, underneath a bridge in Deir Zaharani, a village four miles away. * Sheikh Mohammed Al-Masri, of another Shi’ite village near Nabatiye, refused to comply with Palestinian encroachment on his land. So, they raped and murdered his 15-year-old daughter. * Hussein Hatib, a 19-year-old from Shi’ite village Harouf, was murdered by Palestinians. His 70-year-old father, Ali Ismaili Hatib, said his son was shot in the back at a P.L.O. checkpoint. They wanted gifts he’d bought for his family after returning from working in Libya. * Zouhair Ladki, a Shi’ite from Khalde (just south of Beirut), was detained at a P.L.O. checkpoint, blindfolded, and questioned for 36 hours for the crime of having an American visa stamped in his passport after study in the U.S. One day, Palestinian and Syrian troops seized his family’s home, ordering them out and saying they had to find an “American spy” hiding inside. After the “search,” much of the house’s property and furnishings were gone, stolen by the Palestinians. * The town of Nabatiye, where there were 35,000 Shi’ite Muslims dwindled to just 4,000 due to Palestinian murders of many and fleeing by the rest. * An Israeli soldier liberating Lebanon from the P.L.O. in 1982 said saw a P.L.O. tank parked in front of a Shi’ite Muslim’s house. He asked the Shi’ite, “Why did you allow this tank in front of your house?” The man replied that after he initially complained about it, the Palestinians murdered his son and raped his 15-year-old daughter, whom the soldier saw. She was pregnant. * A Shi’ite OB/GYN doctor at a South Lebanese hospital complained to P.L.O. soldiers after they deliberately entered and watched each time he helped a woman give birth, in violation of Islamic modesty rules. In response, they killed his daughter. Lebanese shia memories are short, indeed. When Palestinians controlled Tyre (and maintained an outpost there), they begged Israel to rescue them. Now, Israel enters Tyre to protect itself from Shia Muslim shelling on Israel, and it’s the enemy. How soon the Lebanese Shi’ites forget how desperate they were under their new-found Palestinian buddies, then in the P.L.O. 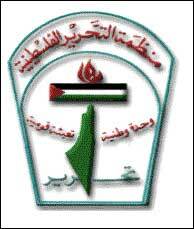 and now reconstituted as HAMAS. How soon they forget that when Israel liberated them from the Palestinians, there was no Hezbollah to do the job instead. Some are still circumspect, afraid the P.L.O. will return after Israel withdraws; others open up in a spirit of relief [about the Israeli liberation]. 24 years ago, who knew these same Shi’ite Muslims would show such little appreciation and complete absence of a memory bank? Who knew that instead of the P.L.O.’s return, they’d fervently support their own barbaric Shia version and use it to murder those who rescued them from total destruction? It’s the epitome of chutzpah. New reader. Love your work. The Lebanese are hypcorites. Soem of the most anit Isreal people I met during my college years (the early to mid 70’s) were Lebanese Christians.Israel should just act in her own interests and put no faith in any Arab (Christian or Muslim) support. Sad to say, but the best Arab Christians I have ever met were the ones who finally left the Middle East in disgust. Nice young couple from Nazareth (ring a bell??) who simply could not stand the discrimination they faced from Muslims, and did not want to raise their kids there. Talk about “right to exist” There were Christians and Jews there centuries before the Muslims, but Leftist-dominated media, and many hapless so-called Jews don’t seem to notice or care. 2. Israel was founded by Leftist flower child Jews, who really thought that they could join hands and sing “Kum-By-Yah” with the Muslims. Thanks for being as smart as you are Debbie, and presenting the facts for all to see. The Muslims are doing what they have always done…for over a thousand years…and that is brutally kill anyone who doesn’t think exactly their way. The War on Terror will have to continue until every single fanatical Muslim is eliminated, young or old, over there…or over here. Is the world strong enough to do it? If not, we’ll all be praying six times a day toward Mecca some day, because THEY won’t stop until they meet that goal…which means we can’t stop until we meet ours. It’s that simple. Doc Savage helped us get acquainted with you and for this we are very grateful. You share some amazing information with us that we never heard before and wonder just how long our government will get its fingers out of their ears as though they don’t want to hear any more about Islamo-fascists especially from a non-entity as they believe you are. Keep telling it to us the way you see it and we’ll pound the desks of those whom we’ve put into power by our vote. We know how disengaged they are from our wishes and we’ll seal that disengagement with our ‘no vote’. Do I see something like this happening in the other part of the world? When the Bangladeshis were being raped and murdered by the Pakis, India drove the Pakistanis away and gave Bangladeshis their land to live and flourish. But now…for a Bangladeshi, their erstwhile tormentors are their friends and the infidel India their stauch enemies. Once a Mullah, always a pea brain. Moral: Never support a Muslim. Gratitude doesn’t come easily to human beings. If it did, there’d be a lot less fanaticism and chutzpah in this world. When Jews enter the picture, that’s even harder to counter and anti-semitism is mankind’s most enduring hatred. Israel hopes for peace from its neighbors but failing that she asks to be left alone. That may be the best Israel can reasonably attain in a very dangerous neighborhood. It’s simple. Use the good guys to liberate yourself from your evil co-religionists. When you are free, kill those infidels and rejoin your evil co-religionists. Next time, let them suffer. They will only betray anyone who helps them. Tell Muslims to convert. They will be a lot happier and healthier. Hating Israel is not good for your health. Hating Islam is a mitzvah–a righteous act. Thank you for sharing your scholarly research and providing an opportunity for your readers to choose to learn from history and prevent another disaster or repeat it. It’s sad what’s happening in middle east. I personally think Iran and Hizbullah have no option but to raise voice against Israel and USA as they have nothing to sell otherwise. I would not blame Shia as majority of Shia do not believe in politics and Jehad. It’s only minority militant Khomeni types who are raging hollow slogans. Shia logically should be allied to western and jewish lobbies as there enemy is not US or Israel but Wahabis and Slafis.Khomeni pulled slogans for Palestine to become champion of Islamic world. Iran being rich in history wanted to lead Islam to satisfy their appetite for power. The best way to achieve that was to stand against the strongest super power.